Beautiful longer nails in 5 to 7 days. Tired of brittle, fragile, hard to grow nails? Here is complete nail care made easy! 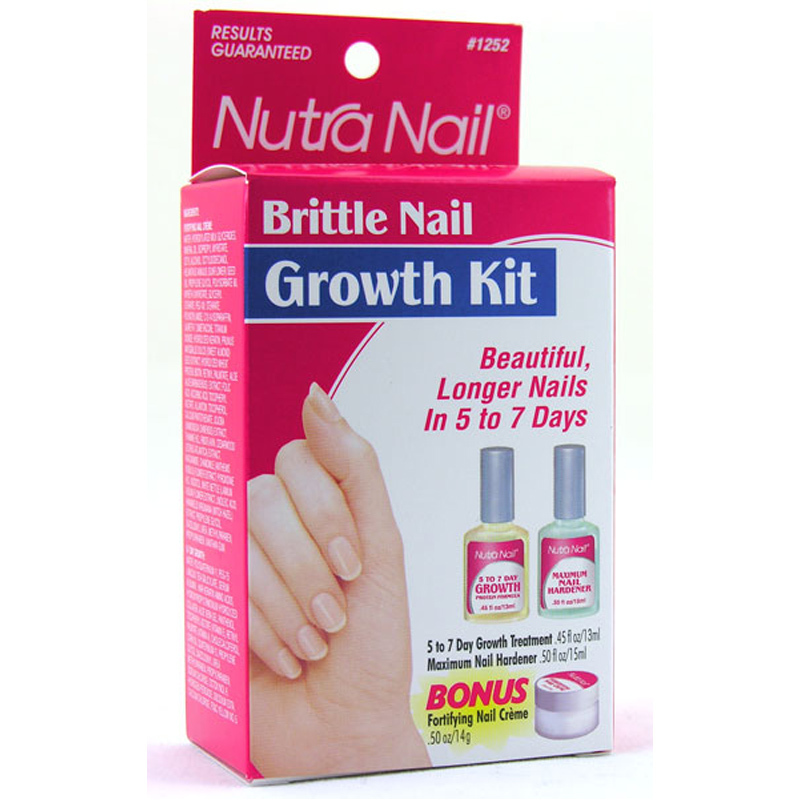 With this special growth kit for brittle nails, Nutra Nail has taken out the guesswork and given you an all-in-one kit with everything you need to grow long, beautiful nails in 5 to 7 days. 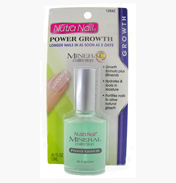 Growth - this treatment contains protein, vitamins and moisturisers that absorb into your nails to prevent brittleness and help promote health nail growth. Apply daily as part of your regular nail care routine. Conditioning - Fortifying Nail Crème binds moisture and nutrients into your nails and cuticles. Massage in twice a week for super conditioning and nourishment. Hardness - Maximum Nail Hardener is formulated with nylon and silk fibres that bond on your nails to form a super hard, chip resistant shield. Use as a base coat for your nail colour, or alone for a natural look. These three products work together as a complete system designed to help you grow beautiful health nails. The enclosed instruction booklet gives easy, step-by-step instructions. 5-7 day nail growth: water, polyquaternium-11, peg-75 lanolin, tea-salicylate, serum albumin, hair keratin amino acids, hydroxypropyltrimonium hydrolyzed collagen, aloe vera gel, panthenol, tocopheryl acetate (vitamin E). Retinyl palmitate (vitamin A), cholecalciferol, corn oil, quaternium-15, propylene glycol, diazolidinyl urea, methylparaben, propylparaben, sodium chloride, octoxynol-9, hydrogen peroxide, disodium edta, calcium chloride, fd & c yellow no.5. Maximum nail hardener: butyl acetate, ethyl acetate, isopropyl alcohol, nitrocellulose, polyester resin, dibutyl phthalate, octocrylene, benzophenone-1, stearalkonium hectorite, nylon fibers, silk, D & C violet #2. 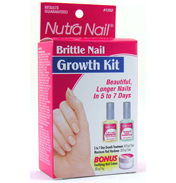 Kit contains 13ml 5-7 Day Growth, 14g Fortifying Nail Crème, 15ml Maximum Nail Hardener.